I had about an hour. Maybe more. Dawn had already broken but it was grey and overcast. My scrubs were getting wet from the drizzle and I looked on my phone to see how far I was. I had decided to get some breakfast at Broadway Market that morning. I had worked a 12 hour night shift that ended at 7:30 am, and my wife was bringing William down to Kennedy Krieger for his appointment that morning at 9:00 am. If I went home now, I’d get there around 8:30 and have to head straight back so I had an hour to kill. 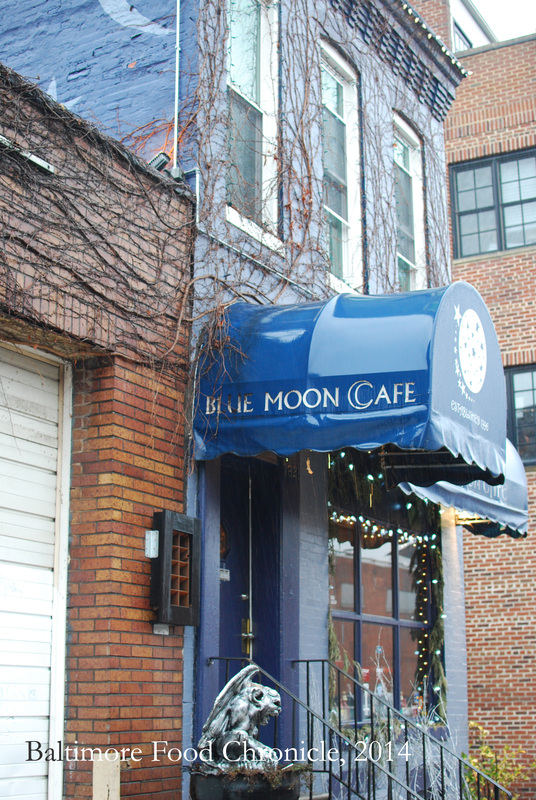 I had heard about Blue Moon Cafe for years. 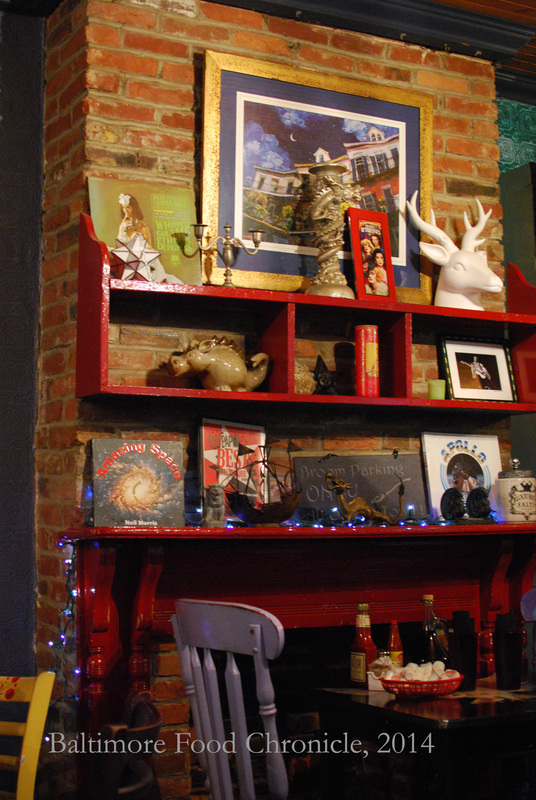 It is a staple of Fells Point, and legendary in Baltimore for their Cap’n Crunch French Toast. It had even been featured on the Food Network. 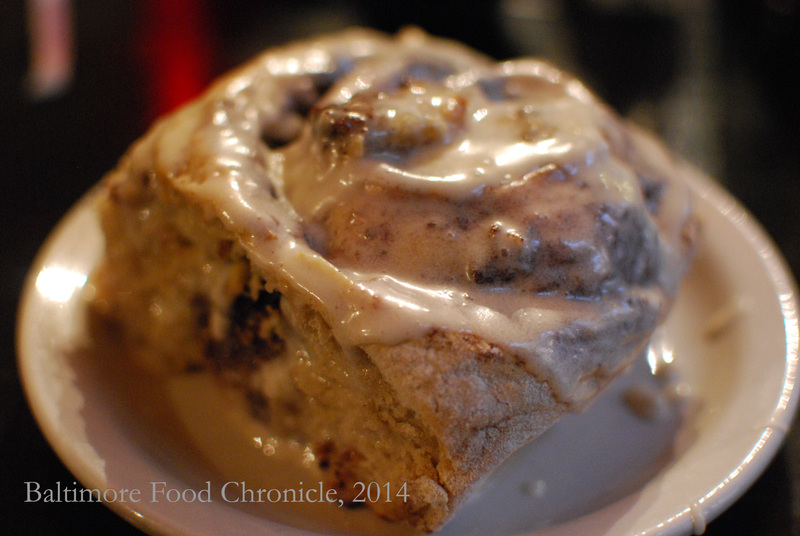 I had just wolfed down a breakfast sandwich, but what had caught my eye on Yelp was the mention of their huge Cinnamon Rolls. When we lived in California, my wife and I were huge (and frequent) fans of Cinnabon. We were huge fans. And we were huge because of it. Maybe it was because we traveled so much, and found them constantly in airports. Maybe it was because they were in every mall, their sweet bread baking and cinnamon scent wafting through the air. For whatever the reason, I’m a fool for some cinnamon rolls and the thought of huge homemade cinnamon rolls was hard to resist. I stepped into the cafe and was surprised at it’s size. 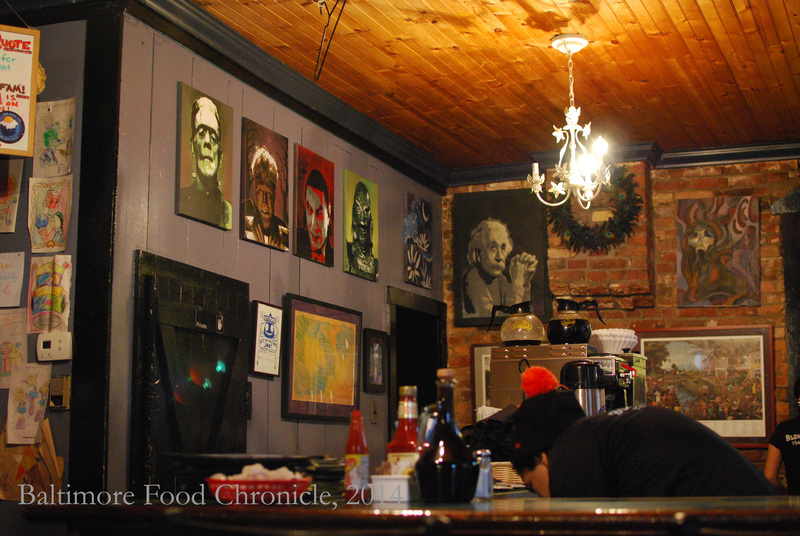 Like most of the places I write about on this site, Blue Moon is a small and unassuming place. In fact, if I had not been walking I’m sure I would have passed it if I was driving in my car. It was warm (and dry) inside, filled with the kind of Baltimore trinket decoration that pervades other unique and funky cafe’s in the city. 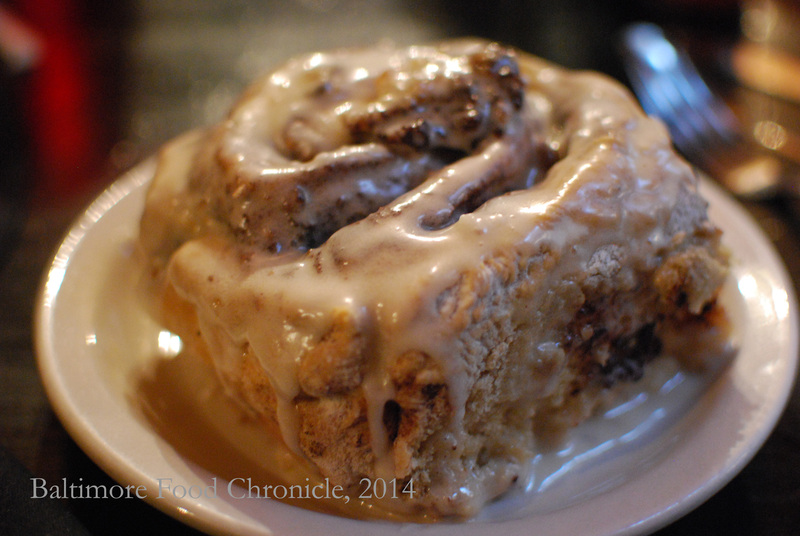 The service was great, and the Cinnamon Roll did not disappoint. I ordered two, one to devour on the spot and the other one to bring to the hospital to eat (inappropriately probably) in the waiting area. Just then my phone rang. “There was some kind of mix up. They don’t have William down for an appointment today and they don’t have any availability to see him. I’m taking him back home.” I stepped back out into the rain, tired but satisfied. At least I had something to bring back home. And I’ll have to be back for that Cap’n Crunch French Toast.